Originally published by The Hill, July 30, 2018. The mural that adorns the exterior of Nancy Nemhauser and Lubek Jastrzebski’s Mount Dora, Florida, residence has become famous in its own right. In the style of Vincent van Gogh’s masterpiece, “The Starry Night,” it’s a homage to a beloved artwork that also incorporates local elements, such as the Mount Dora lighthouse. The unique mural also has gained a measure of fame for the controversy it has sparked. City officials badly wanted it gone, and the family fought to save it. They argued the city was violating their constitutional right to free speech – and took the city to court to defend that right. On July 17, they emerged victorious in their quest, as the city agreed to settle. That’s a victory not just for one family; it’s a free-speech victory for all Americans. First, some background on the Starry Night mural. 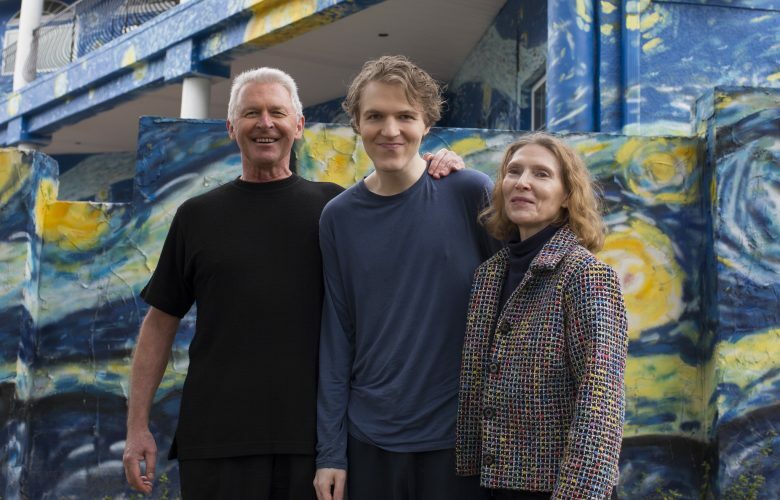 The couple chose the theme of the piece as a tribute to their adult son, who has autism and requires the help of two full-time caregivers. Historians speculate that autism may explain some of Van Gogh’s behaviors and near-obsessive focus on his art. They commissioned a professional artist to spearhead the project. Shortly after painting began, Mount Dora city officials cited the couple, calling the mural “graffiti.” At the subsequent hearing, the city abandoned the graffiti charge and switched tactics with an attempt to designate the mural as an “unpermitted sign.” Although calling what is essentially a paint job a “sign” is a stretch, the magistrate accepted this novel interpretation of city code and imposed potentially devastating fines: $100 a day for each day the mural remained in place. As the family pursued legal remedies, the fines mounted, topping $10,000 before a judge issued a temporary restraining order, pending litigation. Faced with such ruinous penalties, most people would give up and paint over the mural. But in this case, thankfully, Nancy and Lubek weren’t prepared to surrender. They disagreed with city officials’ interpretation that their artwork constitutes a “sign.” After all, the city had never enforced the statute that way before. Mount Dora is an artsy community, home to multiple annual arts and crafts festivals. A drive through town reveals a surprising number of homes with vivid, contrasting colors, painted designs, outdoor sculptures and other means of individual expression. But only one has been cited as an “unpermitted sign” – the Starry Night house mural. The couple recognized that important free-speech values were at stake. The Supreme Court has recognized as “uniquely important” the ability to express yourself on your private property. Mount Dora contended the mural is a sign because it “attracts attention to [itself].” But that’s a nonsensical standard, since nearly anything could be said to attract attention to itself. If the city’s interpretation had been correct, all sorts of protected expression – a “Go Seminoles” sign, a portrait of Alexander Hamilton, or even a mural of the First Amendment – could be designated as attention-getting “signs” and prohibited by the city’s code. Moreover, many of the Supreme Court’s free-speech doctrines are designed to protect against unequal or discriminatory enforcement that targets expression disfavored by the government. Yet the city’s interpretation of what constitutes a sign is so vague that it essentially invites arbitrary enforcement – as evidenced by the fact that the city only enforced the ordinance against a mural it didn’t like. But this story has a happy ending. Represented at no charge by Pacific Legal Foundation, Nancy and Lubek chose to fight the city’s interpretation of “sign” in federal court to protect their artwork. Media attention to the case rallied public support to the side of the homeowners. An online petition in support of the artwork has collected more than 12,000 signatures. With the outpouring of public sympathy, city officials at last may have realized they had painted themselves into a corner in this case. They made the wise decision to get out of the business of art criticism, dropping the fines and publicly apologizing to the family. They agreed to revise the unconstitutional sign code. That’s a victory for Nancy and Lubek, and for the constitutional principles of respect for free speech and private property. Jeremy Talcott and Anastasia Boden are attorneys with the Pacific Legal Foundation, which litigates to enforce the Constitution’s guarantee of individual liberty.